Sweet is all well and good until it’s tipped over into mawkish yuck. Consider that a life lesson for just about everything. Any day I find local seasonal produce in the grocery aisles is considered a win. 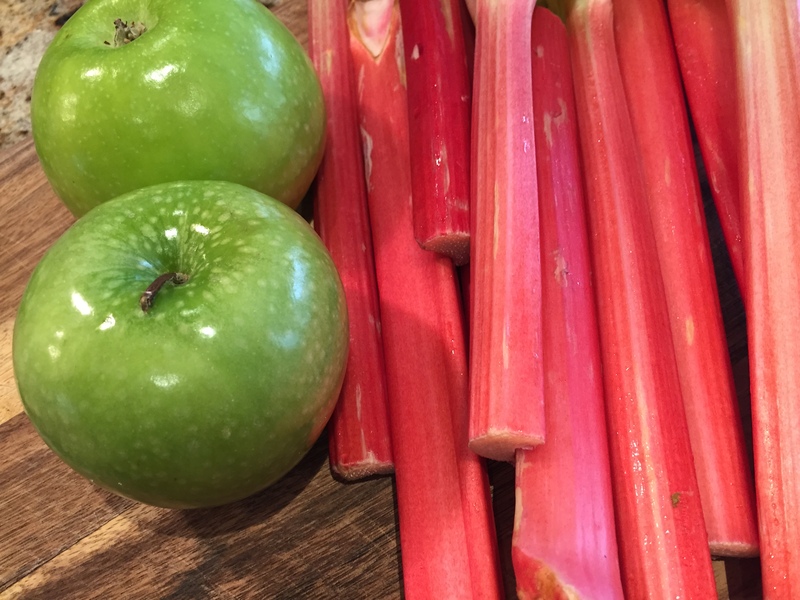 This week’s find was a stack of gorgeous rhubarb. 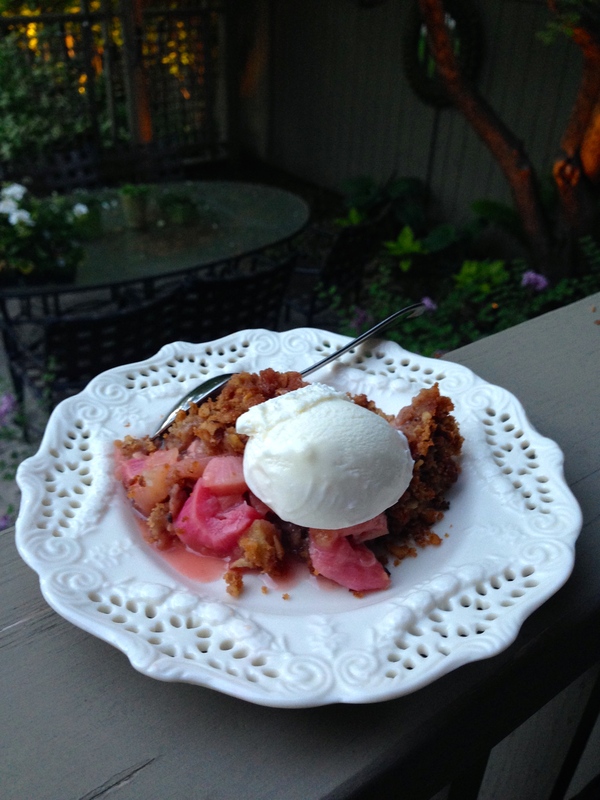 Rhubarb saves the day again and again in the spring, giving a tart shot to all my baking. Pair it with an equally tart apple and you’re ready to pucker up. 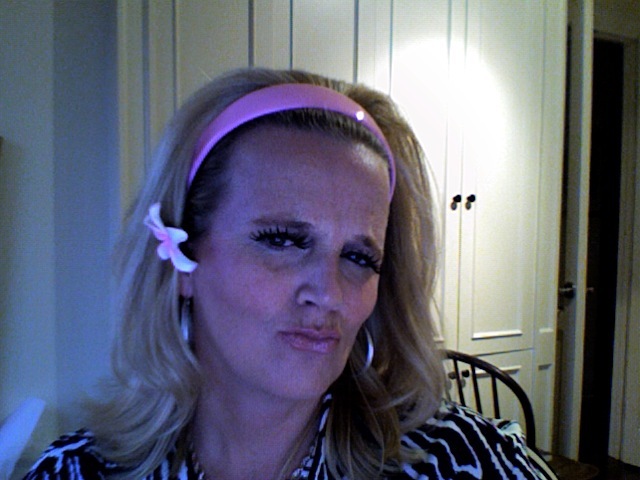 Costume party (duck) pucker face. If a bit more sugar is needed, use a sweeter apple like Golden Delicious. Younger kids may find this dessert too tart. Experiment with your own sugar doses. 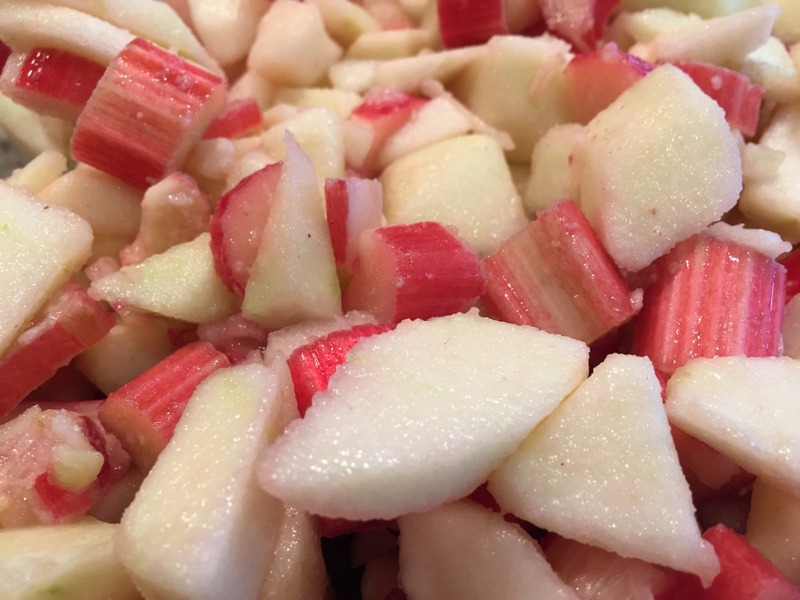 3 cups diced fresh rhubarb- I like my rhubarb diced in about 1 inch slices. Anything too small is just mush. Mix first five ingredients in medium bowl, then add butter in pieces. With fingers, bind together until mixture clumps together. Keep in fridge while you chop all your fruit. Toss fruit, sugar, flour, and vanilla then dump into 9 by 13 inch glass baking dish. Bake for 30 minutes then cover with foil for another 10. Check carefully to make sure topping doesn’t get too brown. Cool for 20 minutes on baking rack. Sunday supper garnish: add a dollop of vanilla bean ice cream. Also wonderful cold the next day over yogurt. 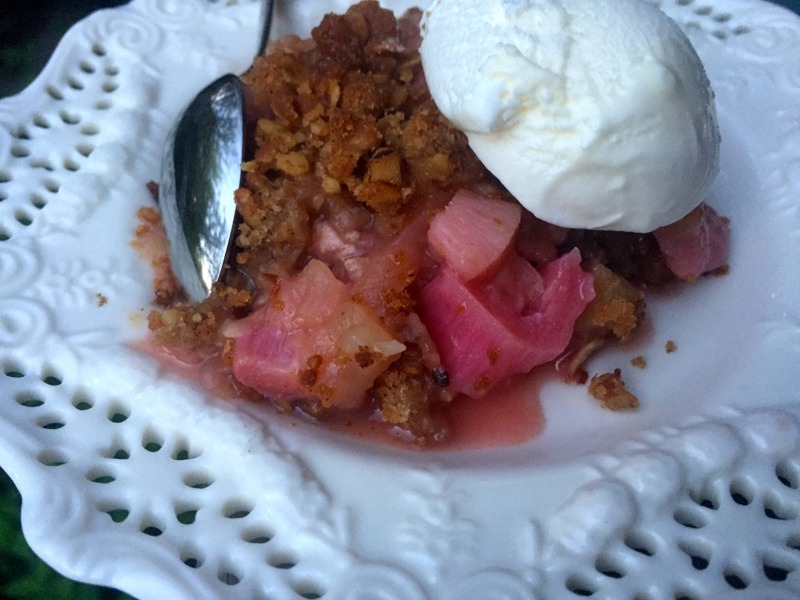 For more rhubarb recipes, try a meringue approach, a lovely weekend muffin, or a ginger topped cake.